Janod Magnetibooks - I want to play with these! 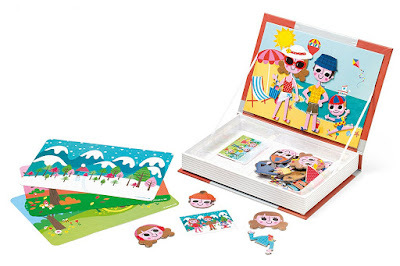 The books come in a variety of themes (this is the Four Seasons version), and they are designed to provide maximum fun while keeping all of the pieces contained. These are perfect for travel and they store easily. 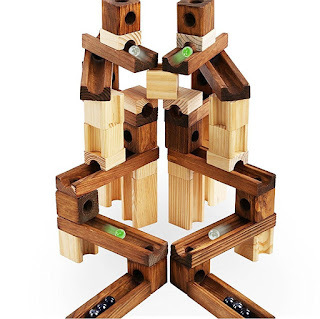 Wooden Marble Run - The classic marble maze was one of my favorite toys as a child, and some things don't change because it is still immensely popular. This wooden version is one that parents might not mind leaving out because it is so gorgeous! 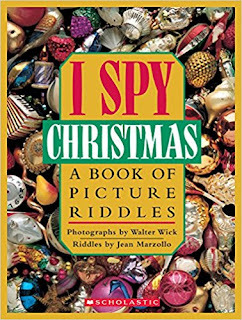 I Spy Books - Help your favorite preschooler practice their focus and attention to detail with these classics books. There is an I Spy book for nearly every holiday and subject, and with good reason, these are addictive! You might find that parents enjoy them as much as children do. Castle Logix - These blocks look simple enough, but they only fit together certain ways. 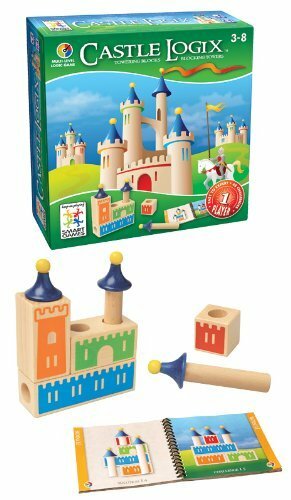 Each page in the idea book encourages problem solving, asking children to figure out how the different castles are built. 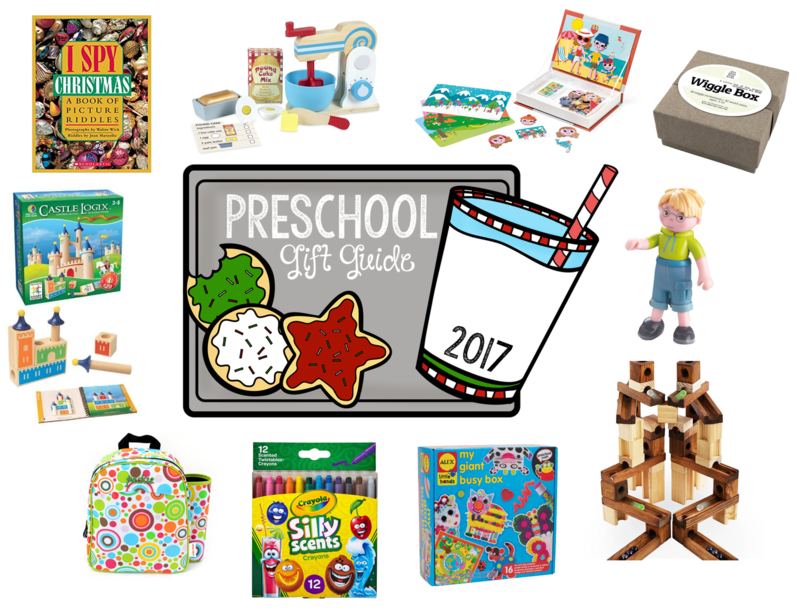 Melissa and Doug Mixer Set - I thought that the Melissa and Doug Coffee Maker that I shared last year was my favorite Melissa and Doug toy of all time. I was wrong. How amazing is this mixer?! 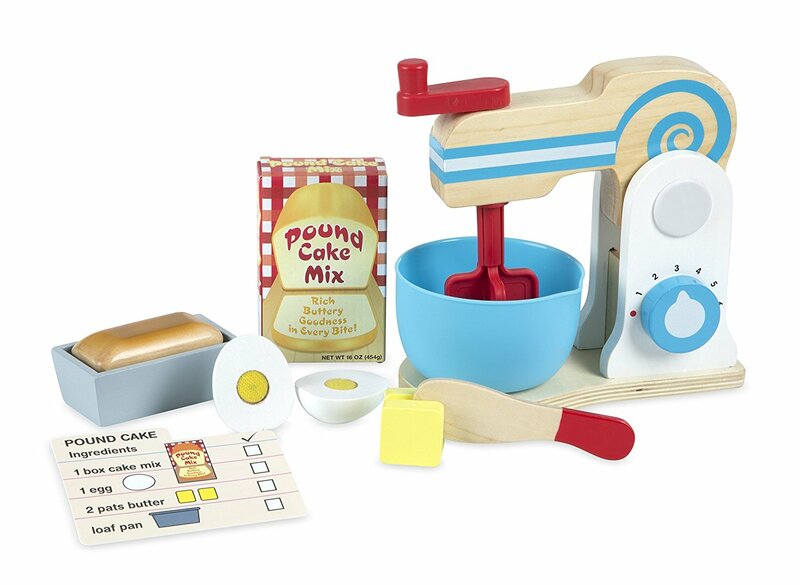 In addition to mixing up the included play cake mix, little ones can crack eggs and cut butter for the perfect cake. They really thought of everything and those little details are what keeps me coming bak to Melissa and Doug. Urban Infant Packie Backpack - Preschoolers love having a place to keep all of their own stuff. This backpack is specifically designed with preschoolers in mind. The small size makes it easier for them to carry, and the fabric is waterproof and can be wiped clean. Also, do you see the tube on the side? That's not for a water bottle, it's actually a patented art cylinder so artwork can be rolled up and easily transported home without damage. 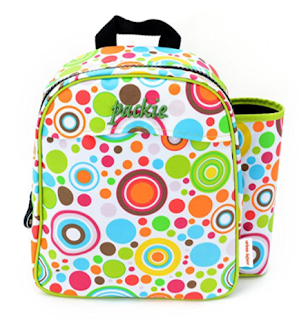 The variety of fabric designs means there's a Packie for every personality. 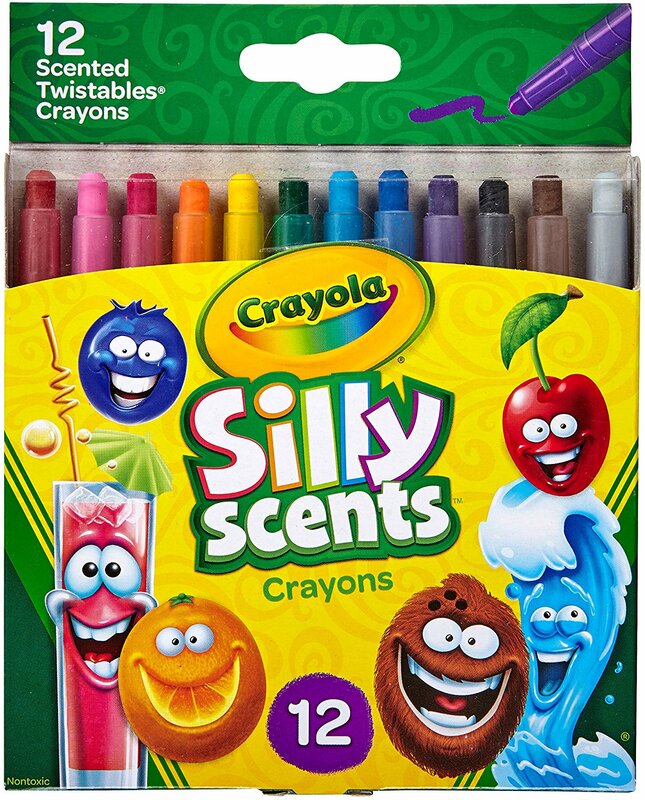 Crayola Silly Scents - I absolutely love Crayola Twistables, they are easy for little hands to use and they have a longer lifespan than your average crayon. 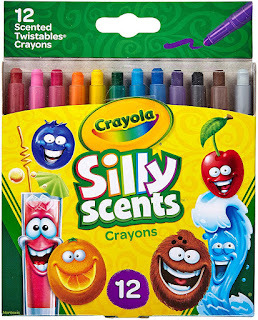 The Silly Scents would make a fun stocking stuffer for your little artist, no preschooler can resist a scented crayon! 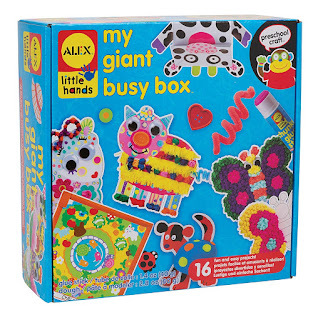 My Giant Busy Box - If you're looking for a gift that will keep a preschooler busy, this is it. 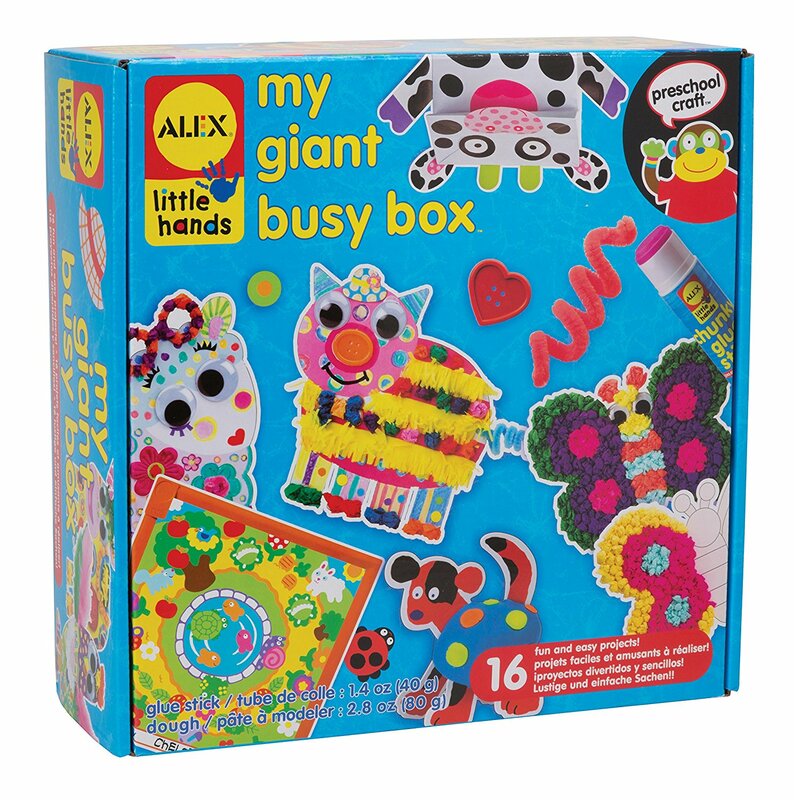 This box is packed full of supplies to make 16 different art projects - all of which will help little ones work on their fine motor skills and creativity. 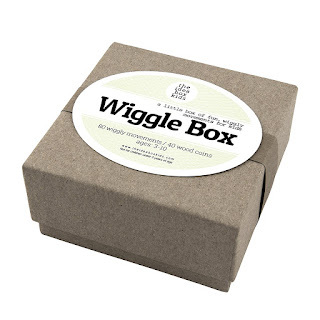 The Idea Box Wiggle Box - This little box contains 40 different ideas for simple movement activities that children can do any time, anywhere. Little ones simply pick an idea and then do it. This gift is a great way to get preschoolers moving, but there are also Idea Boxes for random acts of kindness, backyard play, scientific observations, quiet time, and more! HABA Little Friends Bendy Dolls - These little dolls are only 4 inches tall and come in a variety of characters. 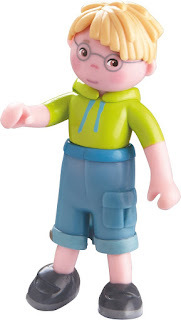 They are perfect for doll houses, block play, and travel. These would be amazing stocking stuffers! 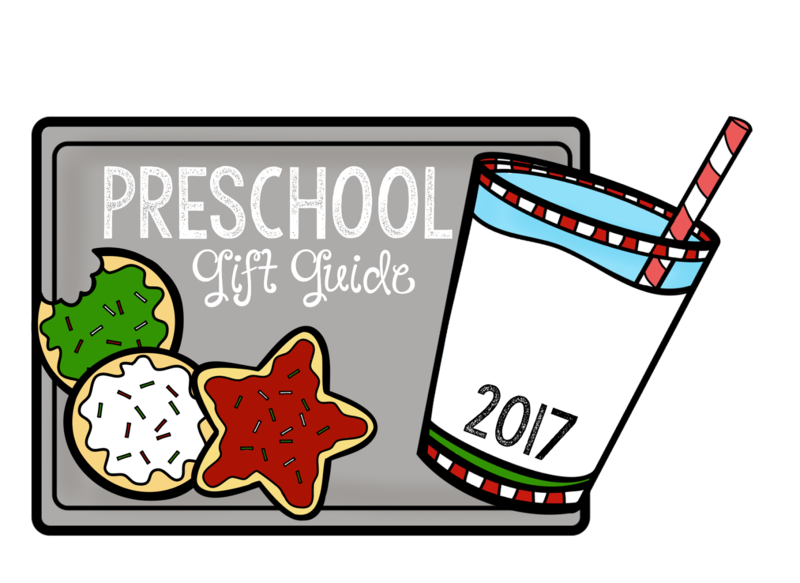 I hope that this list has given you some wonderful ideas for your favorite preschooler. If you're still searching for the perfect gift please take a minute to check out my gift guides from previous years - these are all still wonderful gifts!